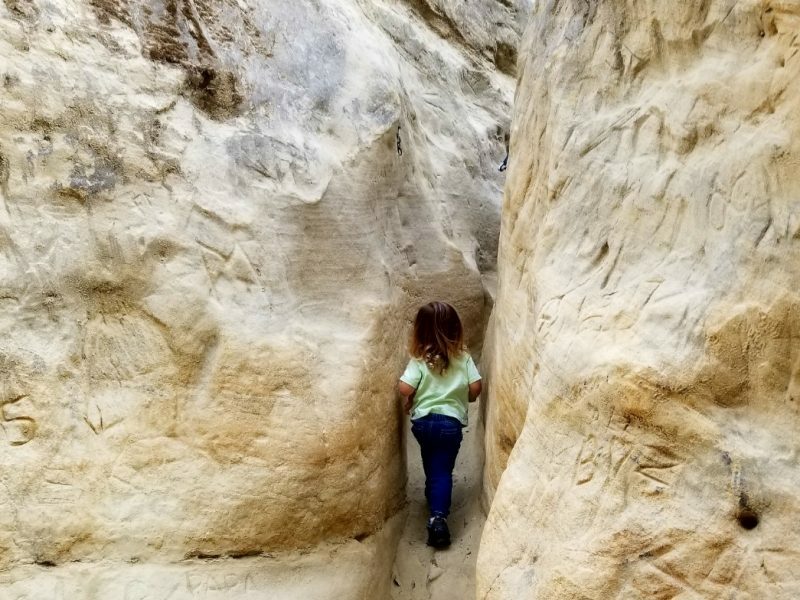 Annie’s Canyon is a fun slot canyon that the entire family will enjoy! This easy out and back trail is about 1.5 miles. 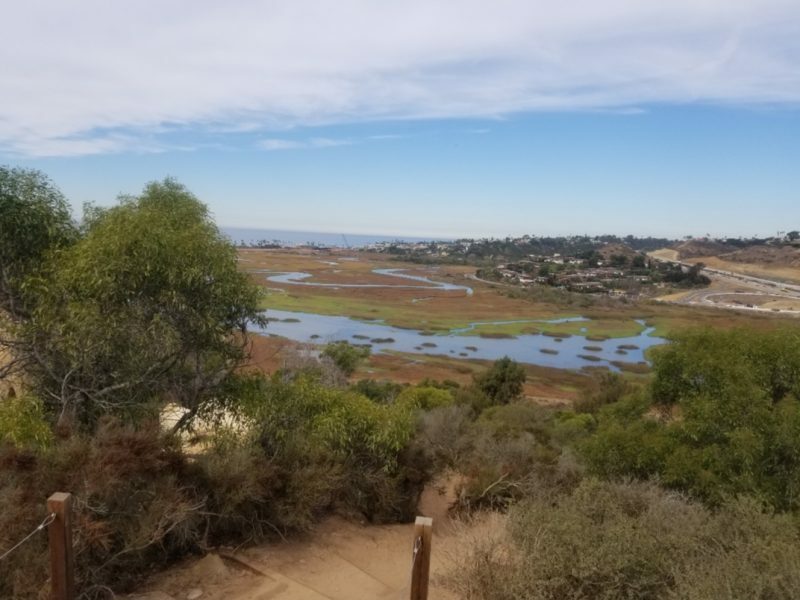 The trail out there is flat and off road stroller accessible with beautiful views of the ocean. 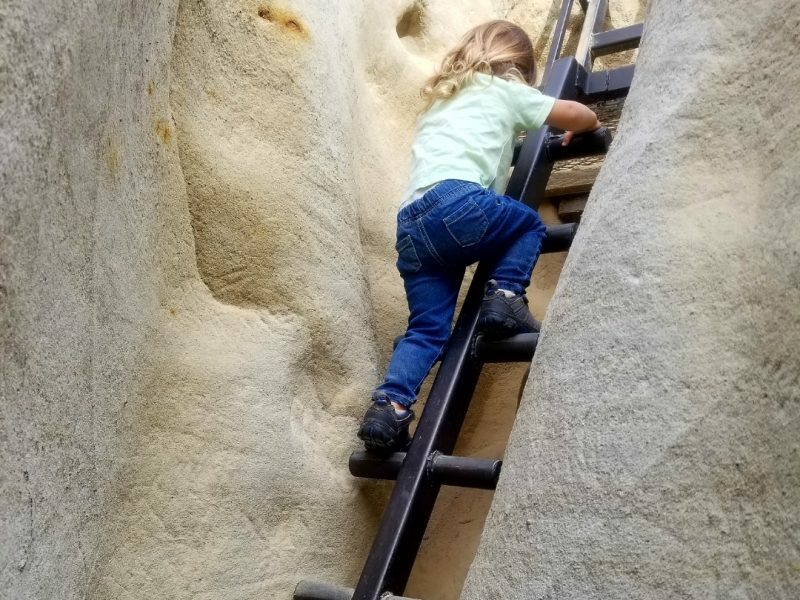 The canyon itself is steep and narrow and includes a metal ladder and steep steps to get back down. 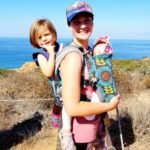 Though I’ve seen frame carriers squeeze through, I recommend a soft carrier for the kids unable to hike it on their own. Make sure to wear pants and long sleeves so the rocks don’t tear your skin. 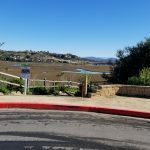 There are a few places along the trail that make great places to stop for a break or snack. From the dead end, take the trail starting from the back right side. You will walk parallel to the lagoon for 0.6 miles until you get to a large open area. 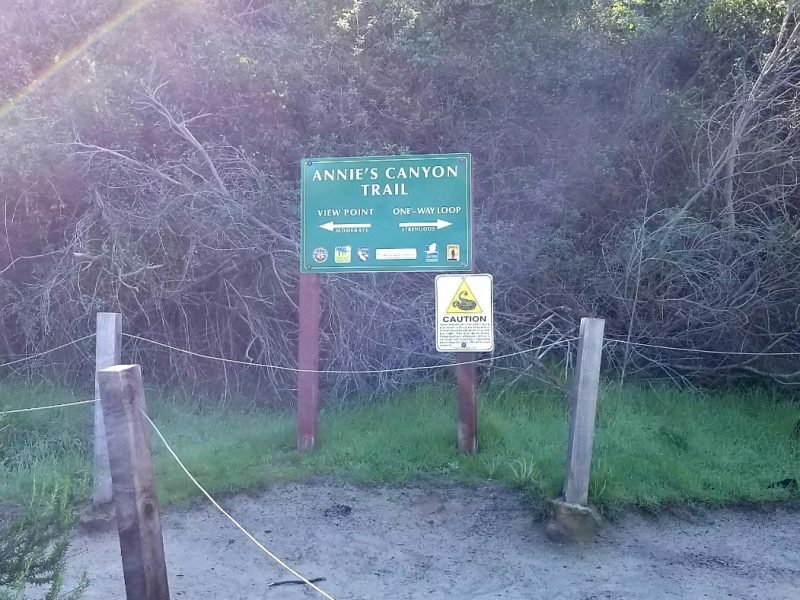 There you will see a trail to your right with a sign for Annie’s Canyon. If you brought a stroller, you will need to leave it there. Take the path to the right and continue until you reach a fork. Take the right fork which will lead you up through the canyon. 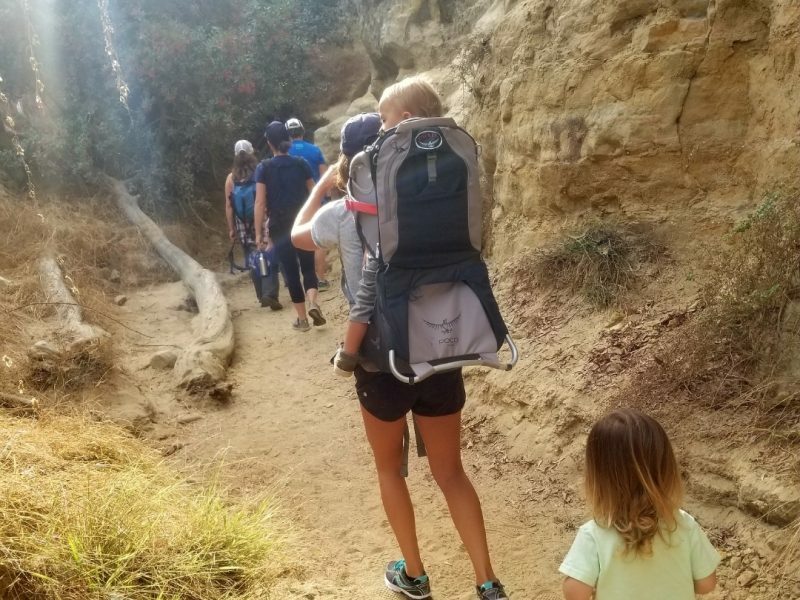 Once you reach the top of the canyon, there are steps that will take you back down to the open area. 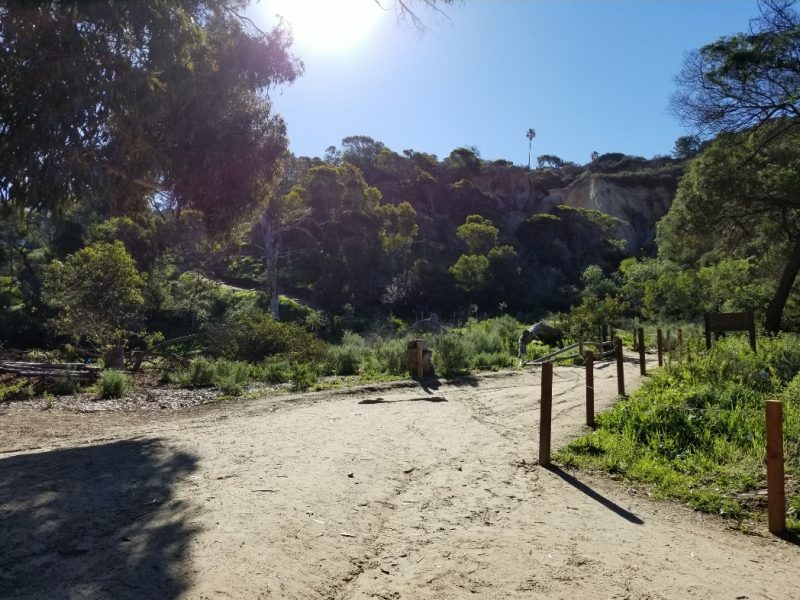 Both the open area and the top of the canyon are great spots to stop for a snack and break, there are also a few benches along the way and a big tree to climb on. Once you are ready, take the path you took back to your vehicle. 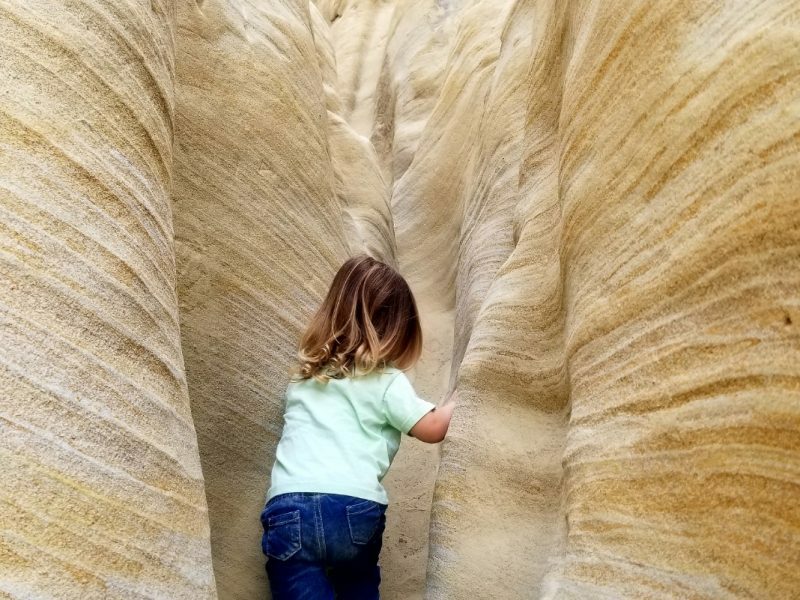 Fun, easily accessible slot canyon! 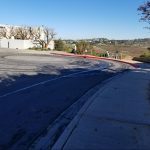 Park along the street at the end of N Rios Ave. Trailhead is to the right of the dead end.